Situated in the shadow of Camelback Mountain, this soft contemporary home is classically appointed with fine custom finishes and appliances. Vaulted ceilings, travertine floors, Clive Christian custom cabinetry and majestic picture windows and doors open to a massive patio. Patio offers a graceful 15' sweeping covered area perfect for dining, relaxing and watching sports. 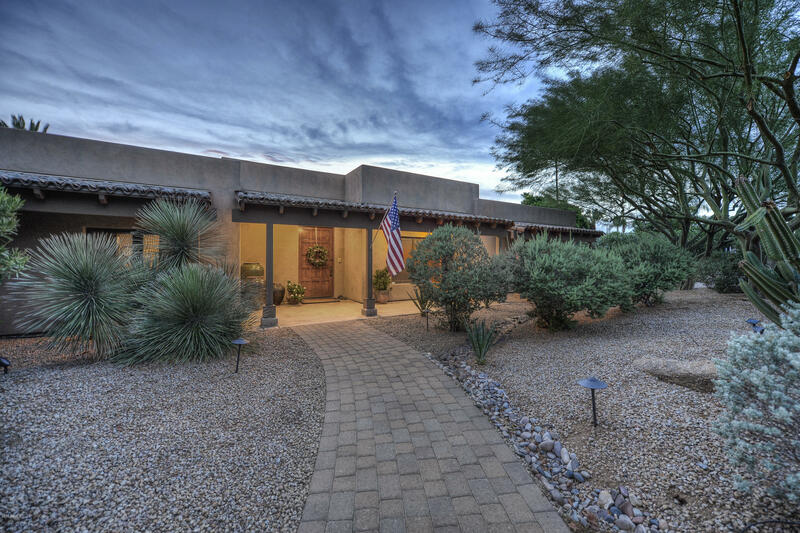 A pool with water feature and large gas firepit and unobstructed views of Camelback Mountain make this the perfect backyard for entertaining and family fun. This home was made for enjoying desert life to the fullest. Thoughtful touches to provide ease of living include remote-controlled motorized shades, multi HVAC zones, Electronic Vehicle charging station in the 3-Car Garage. NO steps inside or outside. NO HOA.